Written by Ted Flynn, co-author of The Thunder of Justice and author of Hope of the Wicked. It deals with various questions including: Why is the greatest nation in the history of the earth climbing tragedy’s summit and about to tumble? – Is America a just and great nation before God? – For what sins has God judged past civilizations? – Is the breakdown of the traditional family, caused by drugs, alcohol and sexual promiscuity, a prelude to the unraveling of our society and our freedoms? – What follows “The Culture of Death”? Cloning! Not if, but when? – What do the Blessed Mother and saints say specifically about our fate? This book gives a no-nonsense remedy for our country, our families and ourselves. 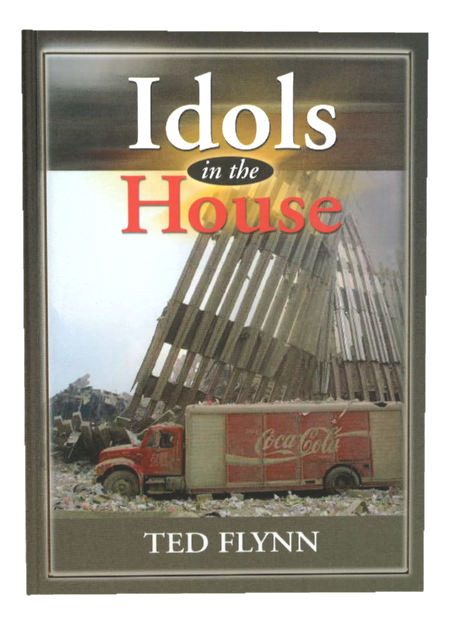 Idols in the House separates fact from what we see in newspapers. Has the Lord removed the “protective hedge” from our nation? Was September 11th a wakeup call for America? Is more on the way?